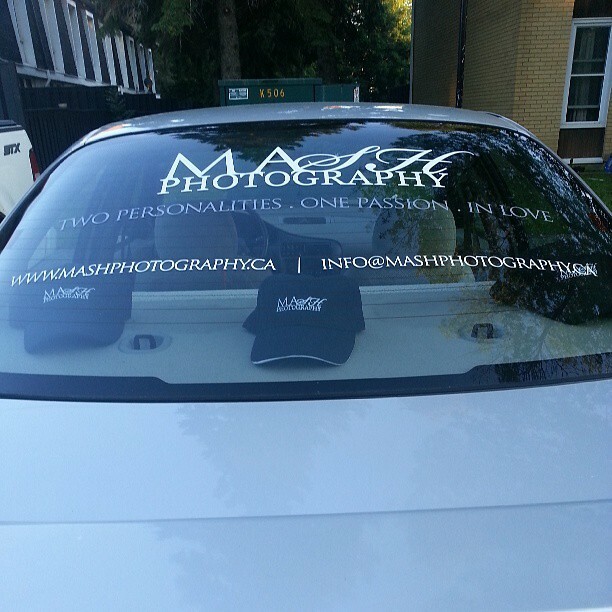 We just wanted to share a recent car decal that we had the pleasure of cutting in vinyl for MASH Photography. We are thrilled to see a picture posted up and thought we would share both the vinyl decal picture itself as well as share a link to their company. We have had the pleasure of dealing with Shannon in the past and she is very helpful, friendly, professional, knowledgeable and well spoken. We wish Shannon and her partner Matthew all the best in their new venture. MASH PHOTOGRAPHY on facebook as well as their website.